Ivy grows best where they get four or more hours a day of direct sunlight. It will also grow fairly well in bright indirect light. Keep the soil evenly moist. Ivy prefers temperatures of 68° Fahrenheit to 72° Fahrenheit. Prune long vines as needed. The pothos’ glossy foliage prefers medium to bright indirect sunlight, but can withstand any lighting situation. To water, wait until the soil is dry and then drench it. Avoid over-watering. It requires very little, if any at all, fertilizer. Keep the foliage clean with a damp towel. The pothos is easy to care for, making it a great houseplant for anyone. Available in 6″ and 8″. 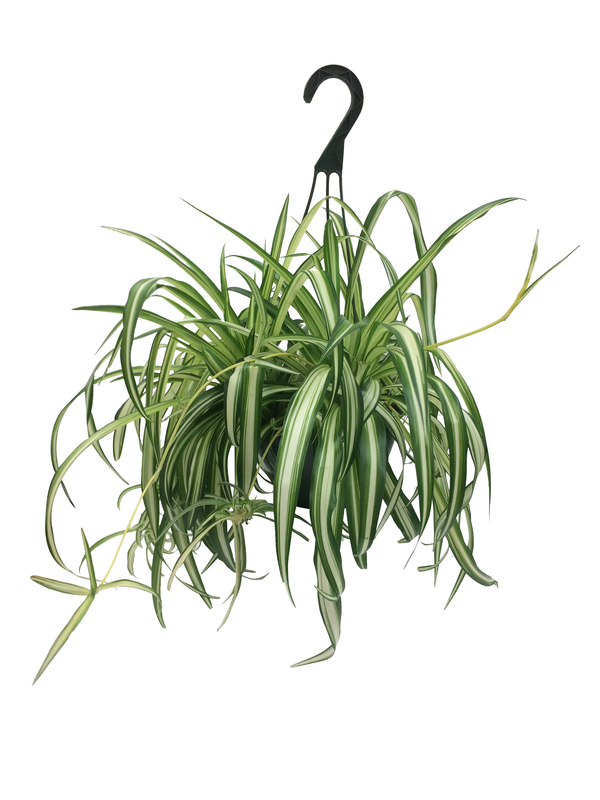 Place plant in an area with medium to high lighting. Water the plant well and allow the top 50% of the soil to dry out in between watering. Crispy leaves indicate that the plant is over-watered. The ideal environment for a Grape Ivy plant is 60-80 degrees with moderate humidity. Place this plant in an area with direct, filtered light. Water the plant ensuring that the soil is moist, but not over-saturated. This plant prefers humidity which can be achieved by misting it once weekly.